Koshanin : Under the Sacred Tree. 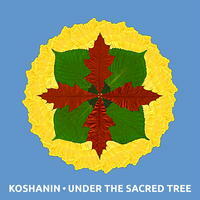 "Under The Sacred Tree" is Koshanin's second solo piano album. This collection of piano pieces features original compositions as well as his unique arrangements of select traditional folk songs from the Slavic lands, including Russia, Serbia and Macedonia. Koshanin further explores these folk melodies and the odd time-signature characteristics of the music from the Balkan region, reviving them in a new, non-traditional context. His continuous search for beauty and simplicity in music gives this album a peaceful, reflective mood. License Piano tales, ancient dreams by Koshanin for your project. Play the music of Koshanin in your restaurant or store.